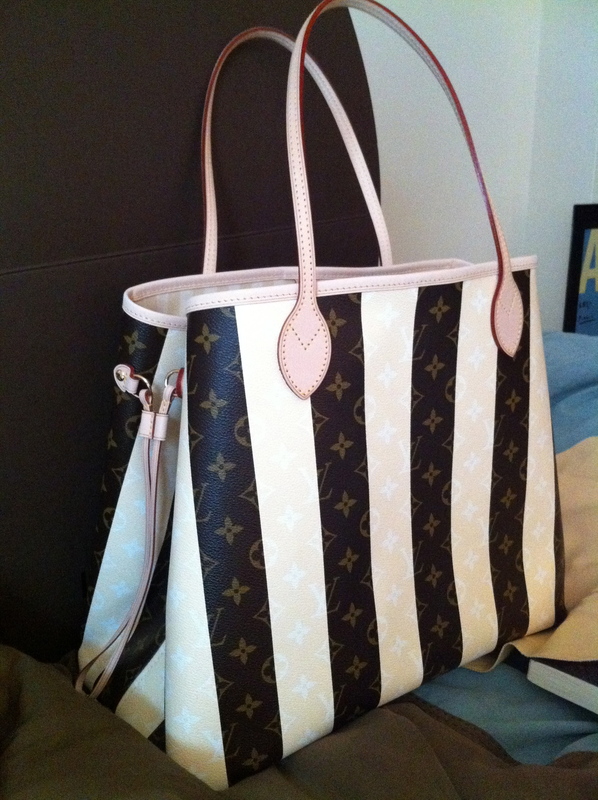 Perhaps one of the most intriguing LV debuts this year, this striped beauty is only available for a few months. Just released on December 1, 2011, bag lovers can't go wrong adding this piece to their collection. "The Monogram Rayures collection draws its inspiration from the history of Louis Vuitton. In 1872, the House creates striped canvas which becomes the second graphics signature of its trunks. The vertical bands alternating in dark and light beige establish a new definition of elegance. Monogram Rayures offers a contemporary interpretation of this motive, combining it with another iconic pattern - Monogram." The Rayure Neverfull is from the Women's Cruise 2012 collection, and is available in MM, GM and the new size, TGM. Additionally, the Noé is available in the Rayure in PM and GM.